Fundraising is key to the success of this outreach. The Academy needs monthly and one-time partners to help with teaching, building, and operating expenses. Please prayerfully consider joining us as a monthly or one-time partner. Your gift will allow us to further the vision of bringing hope and life transformation to the families living in the Bordos! 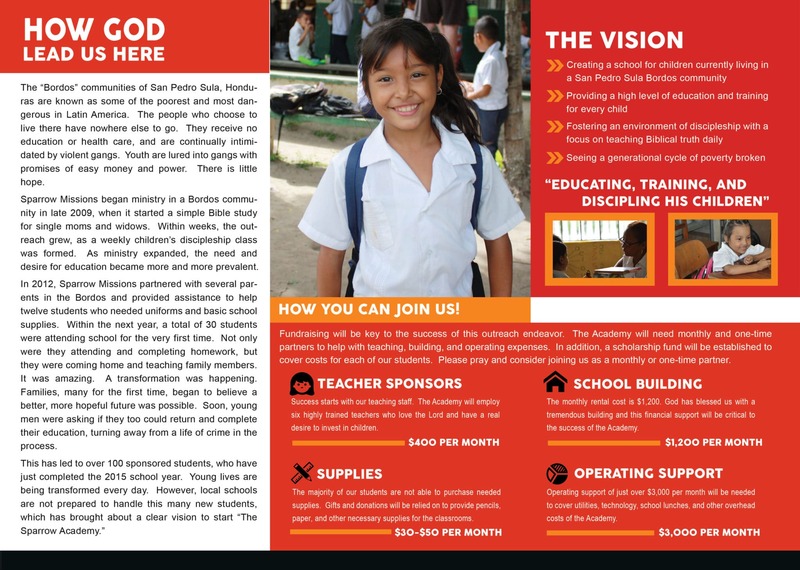 You can also visit our Gift Catalog and choose the impact you would like to make!